On seeing her my face brightens up, she presumes that the condition of the sick (me) is better now. Ghalib says that on seeing her face, my face lights up and she thinks that my illness is better now. O! I do not even get the looks of sympathy now, for I just looking at her brighten up and she thinks that I am alright and recovering. It was the 12th of Semptember 2015. An artist friend met his Grandfather after really long and he was greeted with this shair by Ghalib. He told me about it at a sea side cafe and although I was in awe, I passed it off as a magical moment. The very next day, I attended a musical, Sounds of the Sufis performed by The Looking Glass. They showcased the history of Sufism through song, word and music. There were multiple references to Urdu and its relevance today. When someone sneezes, we say, ‘God bless you’. This is taken from the Urdu phrase Alhamdulillah (This actually means “Praise be to Allah”… it is used to thank God as well. The reply to it is YarhamukAllah which means “May God have mercy on you” or “God bless you”, which has the same meaning. Both Priyanka and Anurag shared poems by Rabia Basri, Khwaja Moinuddin Chisti, Baba Farid and other Sufi saints which I have written about in another post. I felt a connection with the language, but I did not understand why and given the busy buzz in Bombay, the routine of the following day took precedence, thinking I will explore the connection when I have the time. And magical interactions with the language continued. 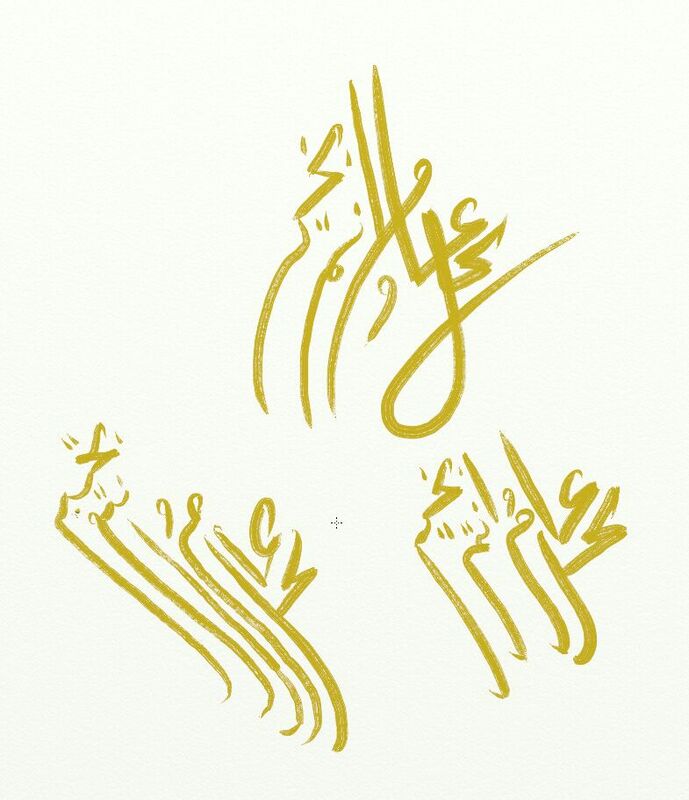 The artist friend sent me pictures of Arabic calligraphy. And around the same time, I came across a billboard showcasing a brand that customises jewellery with the Arabic typeface. Although the pieces looked exquisite, I dismissed it as a girl’s fascination with jewellery. 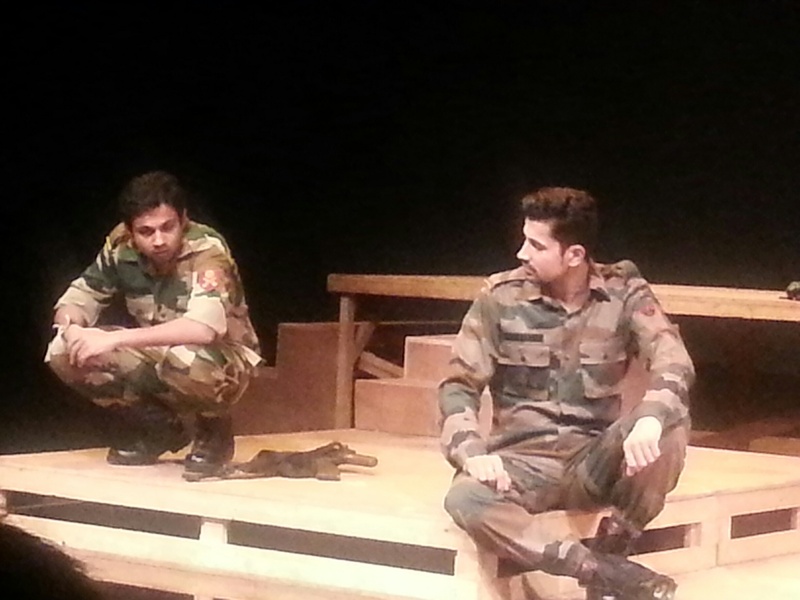 Sometime in October, Naseruddin Shah’s play Gadha aur Gaddha, which is an adaptation of Urdu writer Krishan Chander’s stories continued to pique my interest. An exhibition titled Akshara (written word) organized by Jaya Jaitley and the Dastkari Haat Samiti, introduced me to papier mache art from Kashmir which used Urdu calligraphy. Recently, the movie, He named me Malala had repeated references to Pashtun, the region of the Hindu Kush mountains in Afghanistan. 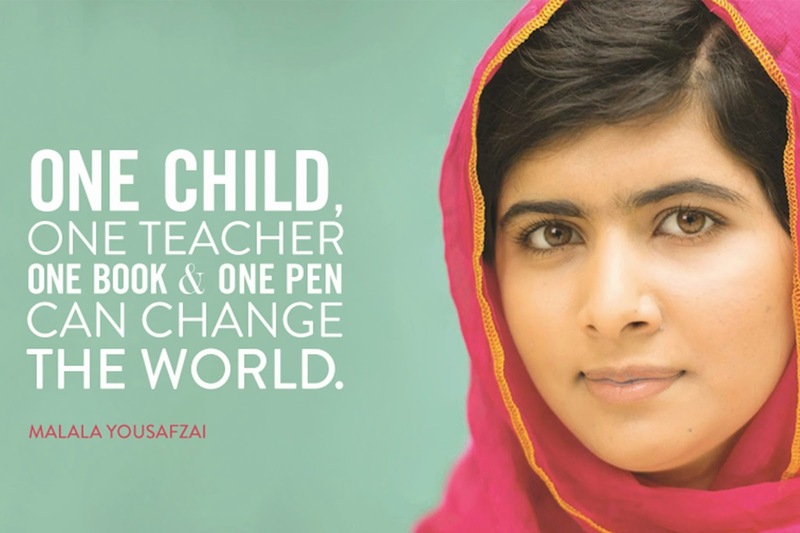 The language Malala spoke is called Pashto, which comes from the same family as Urdu. You have to hear it to understand how sweet it is. By now I knew that I had a deeper connection with the language, otherwise, I wouldn’t feel the constant pull towards it. I also realised that the script of my mother tongue Sindhi shared similarities with Urdu. Therefore, when I saw that Mehfil at Prithvi was on the theme of Urdu poetry, this was a session I couldn’t miss. The 10th November 2015, on the eve of Diwali, the annexe of Prithvi theatre was decorated with lamps in tea glasses, fairy lights hanging from above, beautifully arranged dhurries to sit, the hum of a raag playing softly in the background, there was a slight nip in the air, the perfect ambience for a mehfil. Javed Saab then introduced Shah Mir Taqi Mir or Meer Mohammed Taqi Meer who is also known as Khuda e Sukhan (God of Poetry). Sadia Siddique, Neha Sharad and Sohail Warsi read verses of the poets, some parts were easy to understand, others were not. It is wonderful to simply hear them talk with the adab (respect), saadgi (simplicity), the proficient pronunciation and accent that comes with speaking Urdu fluently. There is so much style in the language that even a simple greeting as Aadab makes you feel part of a celebration. The next Urdu poet who is synonymous with poetry in Urdu is Ghalib. Born in 1779, as Mirza Asadullah Beg Khan, he was responsible for igniting inqualab (revolution) through his writings. His style of writing stood out from the rest because his poems explored emotions beyond love. Ghalib’s writings are marked by different phases, one where he would write complex verses entirely in Farsi with one or two Urdu words. Later his writings were easier to understand and he expressed himself more in Urdu. Momin was a very good astrologer and did not consider anyone else a poet except Ghalib. He recited verses in Urdu after a lot of thought. 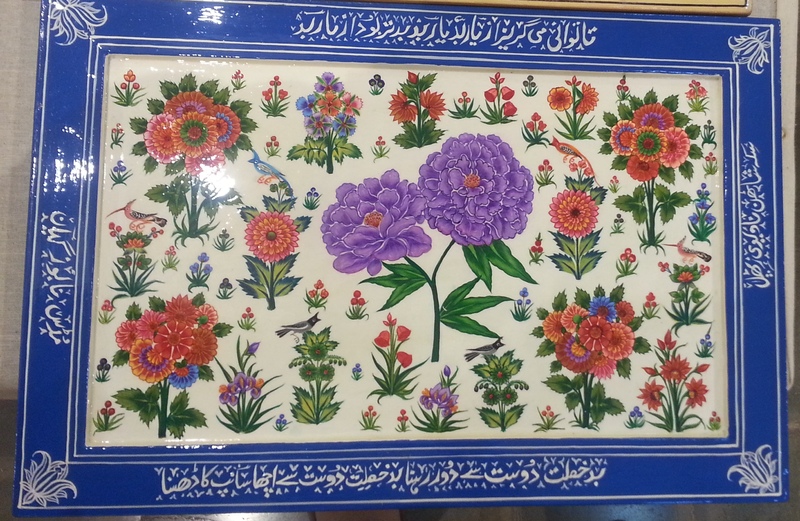 There is a story about a verse written by Ghalib where the word Goya fits into both the meanings of the word. The same is explained beautifully on the Urduwallahs blog. A clip of Momin’s ghazal was played at the Mehfil. Javed Saab then told us that Lal Quila (Red fort) was the centre of Urdu shayri. Nawab Mirza Khan’s who was born and brought up in the Red fort was known for Daagh poetry. He was in his late teens when the Red fort was looted. He started writing poetry as a kid and his style was rawadaan, khoobsurat jaban (beautiful language). It is believed that 90% of the courtesans of those days would sing his ghazals. A clip of one of his most popular ghazals was played. The next poet showcased was Bahadur Shah Zafar, who was the last Mughal emperor. He ruled at a time when the English had conquered the whole of India, barring the Red fort. He was later abdicated and sent to prison in Rangoon. That is why his poems express a lot of hurt and pain. Javed Saab was introducing Urdu poets in order of chronology from the 18th century. He then introduced a prominent poet of the 19th century, Iqbal. His verses of Sare Jahan Se Accha are still a popular patriotic song. He was born on 9th November 1877 and the Urdu Markaz celebrated his anniversary the day before Mehfil at Prithvi. Born in Sialkot, Iqbal completed his Doctrate from Germany. He was heavily influenced by Daagh’s poetry at first and then he moved on to his own genre of writing. Smita Sadeqa Bellur then sang one of his verses Tu rah Na’ward-e-Shauq hai; Manzil na kar qabool. Javed Saab then told us when socialism was introduced in the 1930s and its roots were spreading in India, Faiz was studying in London. His writings were like a balm to the struggles of those days, he wrote on social concerns of inequality. Maine samjhaa tha ke tu hai to darakhshaan hai hayaa. There was a lot of music in his ghazals and the music director Kardar asked Majrooh Sultanpuri to write solely for him. Therefore many of them have been composed into songs. He is one of the poets whose involvement in the freedom struggle is through his poetry being showcased on posters in Bangladesh written in both Urdu and Bengali. With that the evening came to a close, I met Zaheda Nizami, she told me about Urdu classes that are conducted at Akbar Peerbhoy college. I certainly don’t dismiss the constant interactions with the language, I am letting it lead me where it has to. My interaction with Urdu is very recent. In my ignorance, if I have made any mistakes, kindly let me know and I will correct the same. Mehfil at Prithvi is organized by Arwa Mamaji and Priya Nijhara who are also founders of the blog urduwallahs.com.